The North Star Records original release of Songs My Mother Taught Me (1986). In the end, North Star, a startup in Providence that had intended to concentrate on singer-songwriter releases, was willing to give it a shot. It sold well for them, and the critical reviews were spectacular. When Digital Audio Compact Discs reached critical mass, North Star was not willing to go that far; so (good luck for us) MFSL (Mobile Fidelity Sound Labs) did take it on. MFSL did very well with it, despite not really getting the proprietary tape-playback EQ right (and you can quote me on that). Time went on, and Mobile Fidelity, which was doing very very well with 24-kt. gold CD remasters of “album rock” titles, decided to phase out classical and silver CDs. Oh well, time for me to start a record label of my own. Bob Ludwig graciously took me on as a new mastering client, out of respect for David Hancock and his work. OK, now I’ve got a record label. How do I fund new releases? Answer: get some Public Domain Soprano-Alto-Tenor-Bass Christmas-Carol arrangements, and get a put-together string quartet to sight-read them over the course of one three-hour recording session. My fantastic publicist Antoinette “Toni” Flosi of Chicago got the Arturo Delmoni & Friends quartet a live performance on the NBC Today Show, and the rest was history. But the Tower Records Bankruptcy and the closing of the Borders bookstore chain basically were the beginning of the end for the physical-media music business. I lost my US distribution arrangement, and my two best reseller customers. My friends at Steinway & Sons were starting their own CD label, and they recognized the potential, so they made me a fair offer for my three Christmas string-quartet master tapes and associated intellectual property. The Steinway & Sons release combines all three volumes of music in one three-CD boxed set, dispenses with the word “Rejoice!” in the title, and has a different look for the cover. It’s available here. Some time around January 1995, I received a handwritten letter from a woman in Ohio. She told me that she was bedridden and almost totally blind (from surgery to arrest the spread of brain cancer). She said that she was receiving disability payments and living in a trailer. She also confided that, by Thanksgiving 1994, she had pretty much given up hope. She went on to write that, the Sunday morning after Thanksgiving, while her husband was watching the NBC Today Show, her attention was suddenly drawn to the sound of a string quartet playing Christmas carols. 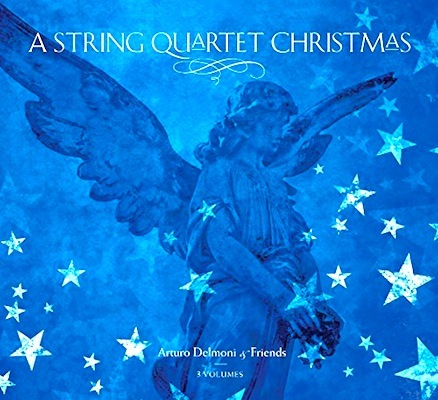 Upon hearing a host say that the performance was of music from a new Christmas CD, she asked her husband to go out immediately to buy that recording for her. It took her husband three tries. However, at the third store he visited, he bought one of the last copies that store had left in stock. He took that CD home to his wife. She then listened to Arturo Delmoni & Friends’ Rejoice! 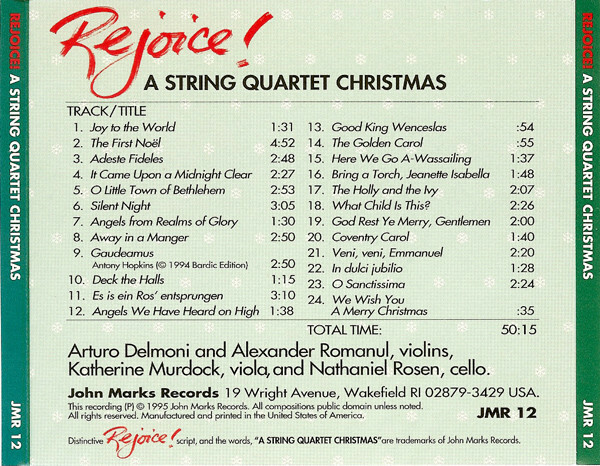 A String Quartet Christmas, Volume One, over and over. My address was on the CD’s tray card. So she wrote me a letter, to tell me what a difference that music had made in her life… . I began making sound recordings in 1967. The first professional project I worked on that saw commercial release was Songs My Mother Taught Me, which was recorded in 1982. My JMR releases racked up extraordinary reviews, starred reviews, “recording of special merit” and “recording of the month” designations, and even some honorable mentions for a few major awards. However, the only “review” that ever made me cry came from a woman who was living in a trailer in Ohio. I am sure that she spoke for the tens of thousands of people whose lives have been enriched by listening to Arturo Delmoni’s playing. Most “average” people know very little about music history, music theory, or violin technique. Nonetheless, average people do crave beauty in their lives; and most of them recognize it when they encounter it. Happy Birthday, Arturo. You have brought beauty into countless lives. 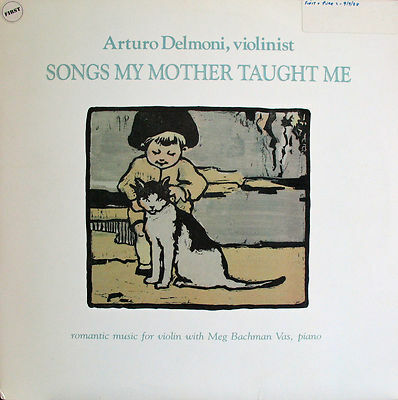 I happened to play the other night my copy of your Arturo Delmoni recording Sonatas of Franck and Faure. It’s been years since I’ve heard it and give all the changes in the system was pretty blown away by the sound. Better than some highly regarded 15 ips tapes from even one company. I was wondering if you still have or access to this recording? I was thinking that this might be a wonderful recording to put out on 15 ips tape and even have a couple of people in mind who could do an excellent transfer. Let me know if you might have any interest in this project. I assume that you are talking about the CD, I think it was CD No. JMR 8? First of all, thanks for the kind words. Bob Ludwig did that transfer, and I was very careful about the CD glass mastering and manufacturing. I am very busy these days, and so is Arturo–he owns that master tape. I am also a bit disenchanted with the record business. And, my life has taken other turns and twists. So, thanks for the kind words, but, I am afraid I will have to decline.